This is not going to be one of my ‘explore a fascinating phenomenon’ posts. Nor will it delve into the amazing history and evolution of our species. No. Instead, this post will be more of a rant and has the potential to become both offensive and insulting, although it will not be my intention. After all, I hate causing offence. So I shan’t make any such statement. If you know me, you’ll probably know my beliefs and opinions; goodness knows I’m stating them often enough. If you don’t, then you’ll make up your own mind and nothing I’ll say will change it anyway. In the old days, we had little regard for the less fortunate minorities. Derogatory labels and prejudice was common and viewed not only as the norm but as the way is should be. After all, if everyone is saying and doing the same things, it must be ok, right? But as our society progressed and evolved, we became more and more aware of how what we said and did was perceived by others. This led to the replacement of a lot of terms and labels to less offensive or at least less negatively charged versions. We called this new concept Political Correctness and it was a tool we could use to make sure that our society got rid of racism, sexism and any other offensive -isms. It was a Good Thing. So now that we had civilised ourselves and made ourselves aware of how our actions affected others, all should be well, right? Well.. The problem with revising your behaviour is that once you start it’s very difficult to stop. And how far should we go before we’ve gone too far? There was a story in the Swedish press the other week about a school that had forbidden the use of gingerbread men – both as a condiment and as a character in the traditional Lucia procession – due to potential racist undertones. The kids that had their heart set on dressing up as gingerbread men were disappointed and the Swedish press had a field day with political correctness gone mad. Eventually, the decision was revoked, and the kids could dress up in brown clothes without being accused of racism. Stories like this fuels the latent xenophobia that seem to be flourishing in most western countries. It seems to be more prominent in countries with high level of immigration like USA, Germany, France, UK, Denmark and Sweden, but it’s present almost everywhere. And with this in mind there’s perhaps no surprise to find that political correctness is viewed as a tool by which the government is trying to destroy the last remnants of the nations cultural history. But perhaps there’s more to this than just racist/cultural paranoia? Perhaps political correctness is in fact hiding something darker? Let me exemplify: In many western countries we have stopped using the term Christmas holiday and replaced it with Winter holiday or something similarly neutral. This is arguably in order to make people of non-Christian beliefs feel more comfortable. But if I were to travel to Malaysia or China and even settle down and live there, would I really be all that offended and insulted if they didn’t change the term Ramadan to Diet month? Or Zhonghe to Pancake day? No. I would want to respect their culture and traditions, and as long as they didn’t have a ‘Hate all westerners’ holiday in which they’d burn effigies of my people and ridiculed my culture, I would only see their cultural history and traditions as enriching and fascinating. So why are we paranoid about our own cultural rituals? Why do we feel the need to rename and water down our main yearly holiday? Who do we think we’re offending by calling it Christmas? Why would people from other cultures feel oppressed by the tradition of a Secret Santa**? Aren’t we in fact just showing that we think we’re so much better than other people? That we have no issues with handling other cultures, but the poor sods that come to our countries do? That they are somehow less capable of accepting the fact that we have our own traditions? If so, isn’t that really just blatant arrogance on our part? And in any case, it’s been a long time since the main message of Christmas was a religious one. Sorry all religious people, but Christmas is the holiday of spending and giving and receiving gifts. And eating too much food, obviously. So I won’t be inclined to start calling my Christmas break Winter holiday. Or Secret santa Secret snowman. I will call it as I see it – it’s ‘Christmas’, dammit. ** I don’t like Secret santa, but that’s not because I’m an atheist. It’s because I’m really lousy at buying presents. Also, I’m antisocial and don’t appreciate enforced social interactions. As a concept? Or as a fictive person? i have been part of a couple of secret santas and they don’t always go well, but when you talked about ‘secret santa’ i went slightly off on a tangent and started getting frightened. i would like to do what david sedaris does. i couldn’t do proper standup, no real memory to speak of…. but reading out stuff what i rote, hell, yeah! I like Secret Santa because I like getting presents. But I don’t like the sneaking around. The person I’m trying to give a present to always seems to be coming back to their desk and I have to hide in a potted plant or something, it’s nervous-making. I agree with all of this. However, around here, if you DON’T use the politically correct terminology around the holidays, you look like you’re making a statement, and that statement is “KEEP THE CHRIST IN CHRISTMAS!! !” which of course I’m not doing, either. So I don’t know that there’s really a win in doing either one. I usually just mutter “Happy Holidays” and run away. But that’s how I handle everything in life, including the fourth of July. It’s expected of me. Ok, that’s not what I was trying to do at all. And perhaps it’s easier here on Fenno-Scandia, since we have such secularised societies nowadays. Also, Christmas is called ‘Jul’ and Santa ‘Tomte’, so we don’t even use the Christian terms. Oh, I know it’s not what *you’re* trying to do. It’s just what it looks like here. People assume a lot. 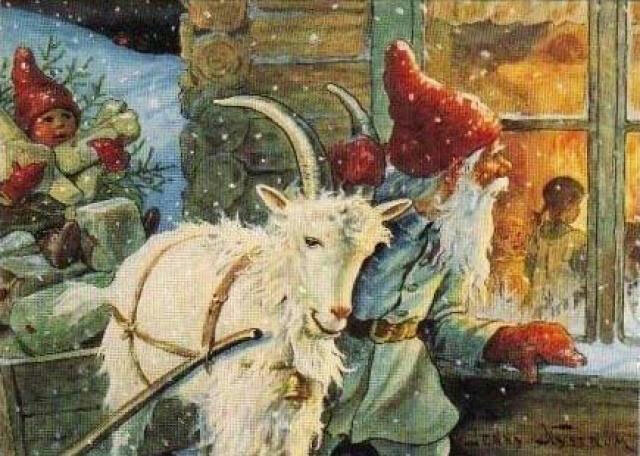 If you say “Merry Christmas” you’re probably a., religious or b., clueless about political correctness, or if you say “Happy Holidays” you’re probably a bleeding heart liberal athiest who hates Merka. I mean, if you’re someone who overthinks these things. Me, I just assume the person wants me to have a happy upcoming holiday, and I say thank you, because who cares how they’re saying it, you know? As a perpetual dieter, holidays that involve consuming large quantities of food are disturbing to me. Can you please have them cut that part out as well? Thanks! Sure, no problem. We’ll just replace Christmas food something that’s more acceptable, like.. *pauses* Hang on. Oh, clever. Very clever. Well played, Milady! Thank you for a thoughtful post. I think you’ve touched on a broader issue in secular western society about the general loss of our culture and traditions, not just though political correctness, but also through marketing and consumerism and the resultant de-valuing of non-consumable culture. As an atheist, I also think the loss of religion without strong social institutions and traditions to fill the gap has resulted in cultural paucity. Whether religious in origin or not, these cultural traditions help to give us a sense of identity and history that seems to be lacking in colonised countries like mine, and in many liberal western democracies, and I think we may be poorer for it. Side note: I’m headed to Peru soon for intensive language study. I’ve timed my trip to catch Easter (semana santa) there because I’m fascinated by the interplay of Incan & Catholic traditions in Peruvian culture and am excited to experience how that influences their interpretation and celebration of a holiday that in my own culture has largely become about how much chocolate we can consume in one weekend. Thank you for an insightful comment. Yes, I might have, although that wasn’t my intention. Culture is important to any society, and it seems to be one of the things we get most upset about if changed. In Sweden, part of the Christmas tradition is to watch ‘Donald Duck and his friends wish a merry Christmas’. It’s a whole big thing (yes, I know – it might be consumerism, but.. there it is). And this year they’ve edited out some racist stuff from it, and people a went ballistic. “Leave our Christmas alone!” “Don’t your dare touch old racist stereotypes from the 30s that I don’t agree with in order to make society a better place, you’ve just ruined Christmas!” So people are really defensive when it comes to cultural traditions. Which is one of the reasons political correctness get such a bad rep I guess. I can’t really comment on the situation in the US, since I’m not American nor have ever visited your country, but I don’t think religious-based traditions are going anywhere soon here in Europe. Even with all the commercial pressure or misguided political correctness. 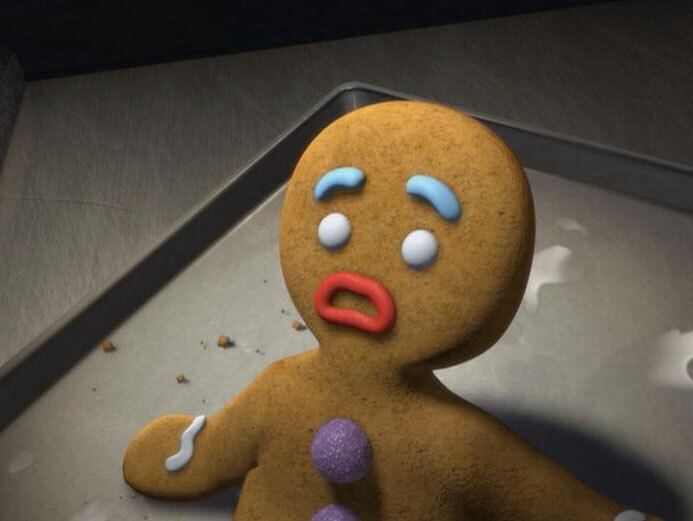 Could you perhaps explain a little of how ginger bread men were considered offensive by anyone? All I can think of, from a Mercan context, is the feigned prejudice against “gingers”, of which I was not aware until the Southpark episode. Well, obviously gingers have no soul, but I don’t think that was the issue here. The message from the teachers was that gingerbread men were a racist concept and not acceptable at the school. This statement was later retracted by the school. I can only imagine that some confused teacher thought that (predominately white) children dressing up in brown clothes was somehow a racist statement? I really can’t say. It’s obviously ridiculous though. Why aren’t you writing for the Daily Mail yet?